Midtown Center for Boys seeks mature college men to serve as advisors and role models to over 400 4th – 12th grade boys. Each advisor coaches 15 – 20 boys on academics and character growth. Through regular individual meetings, advisors work with each boy to develop and follow through on practical goals and resolutions pertaining to virtue, work ethic, a spirit of service, and friendship. Advisors live together in a family style arrangement under the direction of a Head Advisor. 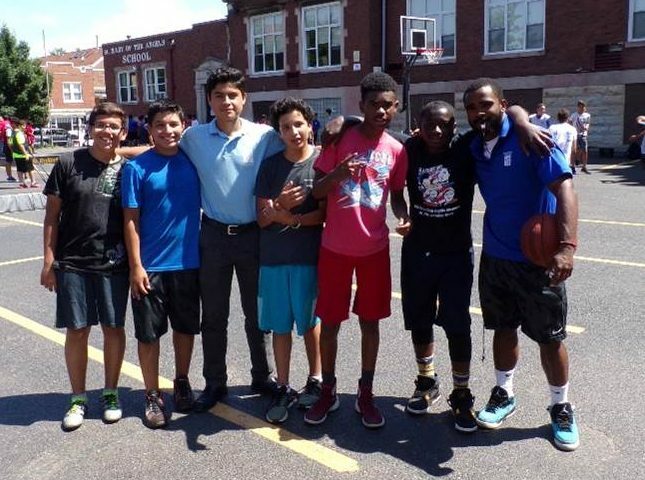 Daily life includes working with Midtown students an average of six hours a day, meals together, get-togethers, sports, meetings, excursions, and cultural activities. Daily Mass and other times of prayer are available to the advisors as well. During the summer, 4th – 8th grade students experience several weeks of hands-on academics, competitive sports, field trips, character education, and fun. Students attend daily classes in math, science, reading, and language, and have a sports period that fosters an instructional, character-based, and competitive learning environment. Students also attend a field trip once a week. Freshmen prepare for high school and beyond in two-week modules that intensively strengthen math, reading, public speaking, critical thinking, and teamwork skills within the context of the professional fields of Law, Architecture, and Engineering. Sophomores, juniors, and seniors engage in apprenticeships: hands-on programs in which they learn marketable skills from professionals in specialized fields. Apprentices present final projects that demonstrate their acquired skills. They also develop the critical thinking and decision-making skills they will need to excel in the workplace. Apprenticeships are offered in Visual Media, Architecture, Business, Computer Science, and Engineering. Midtown will contact each applicant upon receiving his application to schedule an interview. Midtown Center is a supplementary educational program serving 4th – 12th grade boys from low-income families in the city of Chicago. Since 1965, it has provided enrichment, character education, individual attention, and extra-curricular activities for students and parent skills classes and discussions for parents. Midtown Center is operated by Midtown Educational Foundation (www.midtown-metro.org), a charitable organization. MEF’s programs are inspired by Opus Dei, a personal Prelature of the Catholic Church (opusdei.org), and by the social teachings of the Catholic Church. The Midtown Summer Advising Program is promoted by Sauganash.